Indian Point is an ideal choice for guests looking for a convenient Kissimmee location, a peaceful countryside setting and a great value vacation home. 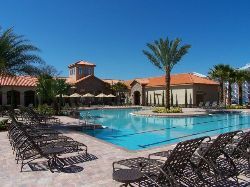 The resort is located on the east side of Disney in central Kissimmee, an extremely relaxed area a good few miles from the noise, traffic, hustle and bustle of Highway 192. 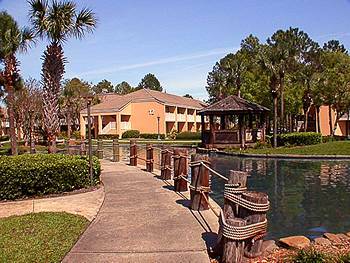 The villas of Indian Point are extremely well maintained (similar in standard to the homes at Bass Lake), have always been very popular and quite possibly represent some of the best value rental villas in the whole Orlando area. Slightly more expensive than our ‘Disney Area’ properties but if you prefer to know exactly where you will be staying then Indian Point is an excellent choice. 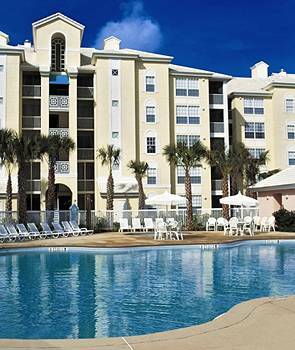 As well as it’s excellent vacation homes the resort also boasts a large parkland area, tennis courts and a children’s playground. 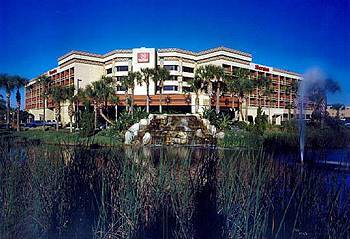 In fact Indian Point is one of our most family friendly resorts, it is clean and safe, it’s wide open park areas provide great family play areas and it’s central Kissimmee location puts you just a short drive from a vast array of family restaurants, shops and attractions. Private screened swimming pool, large open plan lounge, fully equipped kitchen with oven, microwave, fridge/freezer, dishwasher and all pots, pans and cooking utensils, utility room with washer/dryer, at least 2 bathrooms (3 & 4 Bedroom villas have 2 bathrooms), cable TV, telephone and double garage.